Great landscapes are no accident. Whether natural or composed by the human eye and hand, they perform best when the design is conceived and executed with spatial fluency. Landscape designer David Neufeld reaches beyond classic landscape vocabulary. With a background in sculpture, painting, graphic arts, and construction, David provides the conceptual depth essential to launch any project. The design is spatially fluent when the landscape, the architecture, and the people who move among the stones and trees are in harmony. We are a Hardscape installation Company that works with the homeowner to built to suit their needs and desires. 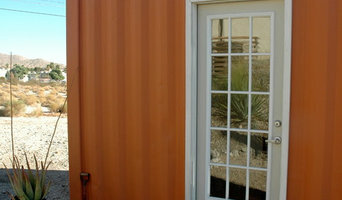 Custom designer, builder and fabricator of ISO shipping containers for Micro Homes, Warehouse Offices, Student Housing, Cabins, Kiosks and more. Sebago Metal Fabrication is located in Naples, ME in the very heart of the Sebago Lakes Region. SMF is one of Maine's leading custom metal fabrication companies. While we work with metals of all types and alloys, our specialties are Aluminum and Stainless Steel. Sebago Metal Fab is also the exclusive home manufacturer of ALUMMIKON aluminum dock products. ALUMMIKON DOCKS offers a complete line of aluminum boat dock products and accessories and are quickly becoming the new gold standard in modular aluminum boat dock systems. Here at Sebago Metal Fabrication we have a simple recipe for success. We combine the highest quality materials available, sourced as close to home as possible with the forward thinking artistry and skill of creative local craftsmen. This formula results in an end product that is second to none with the kind of wow factor that our clients have come to expect. Sebago Metal Fabrication is a proud supporter of Maine and New England businesses, as well as our local community, we make great effort to ensure that ALL of our materials are sourced as locally as possible and we are happy to be one of the few remaining companies to do so. We take pride in our work, our products and our country and it shows in the products that we produce every day! Rousseau Reclaimed specializes in antique, reclaimed and vintage lumber, flooring, accent pieces, wall paneling, mantles, table stock, furniture, timbers and unique wood pieces. Whitewood Millwork is a full service custom millwork shop specializing in the use of PVC for exterior applications. I&S Insulation offers a full range of insulating and air sealing services for residential and commercial structures in Midcoast and Southern Maine. If you want to improve the comfort and efficiency of your existing home we can help. Give us a call at 207 687-2029 or click here to submit a quote request form. One of our BPI certified building analysts will be happy to come to your home, evaluate the existing conditions, talk with you about any special concerns you may have, and provide you with a free quote for the cost of making the recommended improvements. Our goal is to provide you with the best value over the life of the building. Planning to build new? We can help! 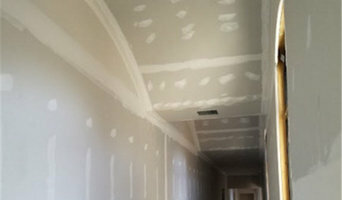 Bring us your plans and we will give you a free estimate, often with a few recommended changes. The energy efficiency world is moving at a fast pace. Many of the architects are behind the times when it comes current building envelope requirements. Our staff attends several training conferences each year to be sure we are aware of the current state of the industry. 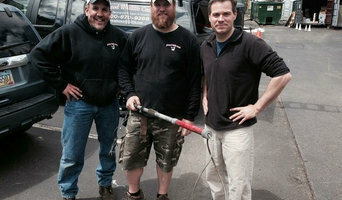 We have close ties to many of the area's high quality builders. They often call us to "pick our brains". Whether you are building a starter home on a tight budget or the super insulated Net-Zero home of your dreams, we can help guide you through the process. I'm a workroom for slipcovers, window treatments and other home related products. For over 30 years,we've provided long-lasting and cost-effective foundation crack repair and basement waterproofing services. Whether you’re looking for a team of Portland, ME professionals or a handyman for a small renovation, you’ll find dozens of professional profiles and contact information for specialty contractors here on Houzz. Here are some related professionals and vendors to complement the work of specialty contractors: General Contractors, Landscape Contractors, Architects & Building Designers, Interior Designers & Decorators, Kitchen & Bath Designers. Let’s say you want to install custom wood flooring in your dining room, and you’ve found a Portland, ME company with excellent reviews. Next you’ll want to contact the company and make some inquiries. Find specialty contractors on Houzz. Look in the Professionals section of our website under Portland, ME specialty contractors, then select the nearest metro area for a contractor. 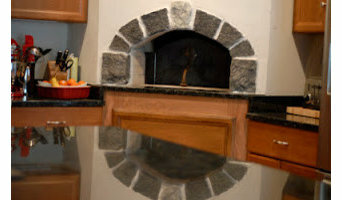 You can also look through Maine photos of completed projects to see how a contractor might approach design challenges.